Finding the right gift for each of your loved ones can be hard, especially if you’re shopping for wine and spirit enthusiasts. If you want to impress them with something that’s perfect for their palate, shop for custom-made selections at Gordon’s Fine Wine & Liquors. As the leading purveyor of specialty wines, spirits, and craft beer in New England, Gordon’s has five locations in the Boston area and brings more than 75 years of experience to the table. The experts at Gordon’s can help you customize any basket to make perfect presents for everyone on your nice list. For just a preview of their premier products, here’s a handy guide to gift giving based on taste. If you really want to wow that special someone, opt for an entire collection of wine, already stored in the state-of-the-art storage locker at Gordon’s storage facility in Newton. 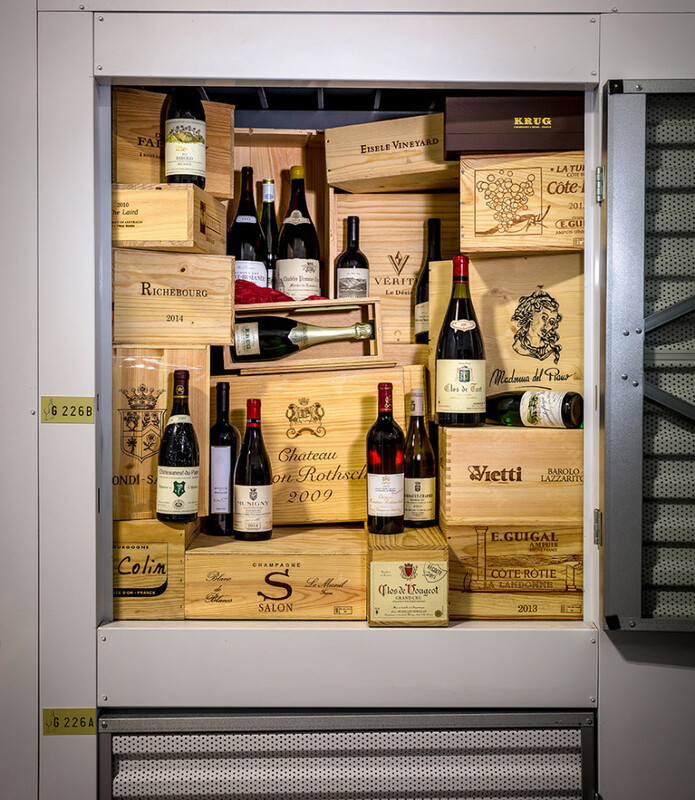 The collection features some of the rarest wines from the greatest producers in the world like Domaine de la Romanée-Conti, Krug Clos de Mesnil, Egon Müller, Guigal La-las, Raveneau, Salon, Vérité, and more. You can’t go wrong with the gift that keeps on giving – and if you’re lucky, they’ll share a few sips with you, too. For the California purist, Gordon’s has a beautiful basket of 2015 Ridge Geyserville. The iconic California wine is celebrating its 50th vintage with this field blend. 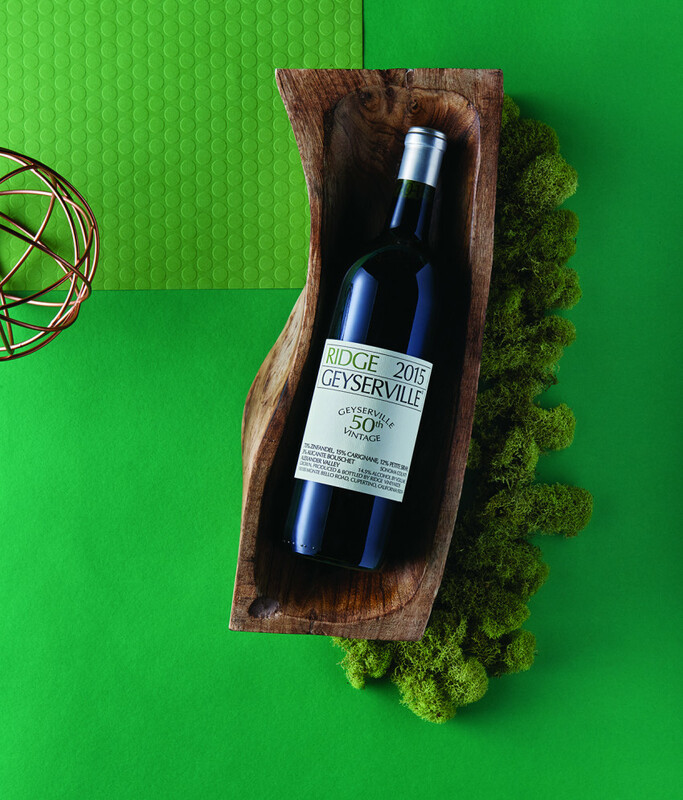 With a majority Zinfandel, Geyserville offers lush fruit, a solid core of earthy complexities, and the sophisticated taste that has thrilled wine lovers for generations. This French region is famous for its classic and refined, yet subtle wines, with whites made from Chardonnay grapes and reds from Pinot Noir. 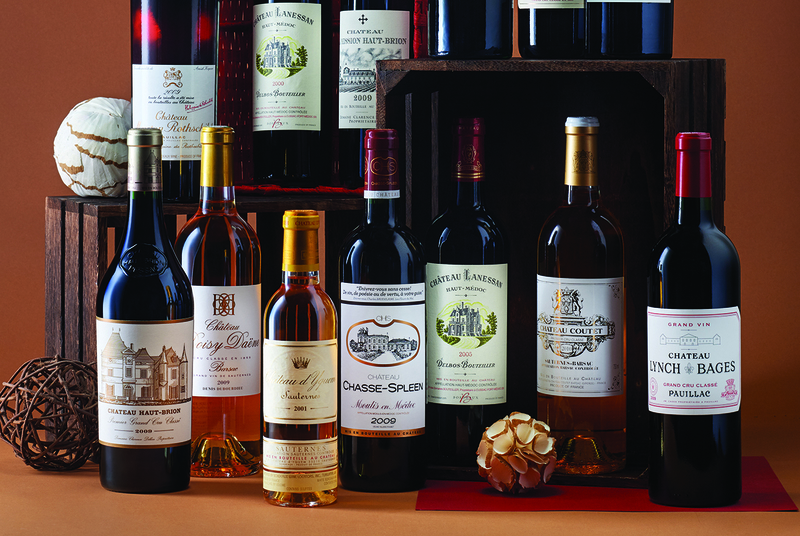 The choice of poets and popes alike, Burgundy is always sumptuous, aromatic, and sweetly fruited with a delicate taste. 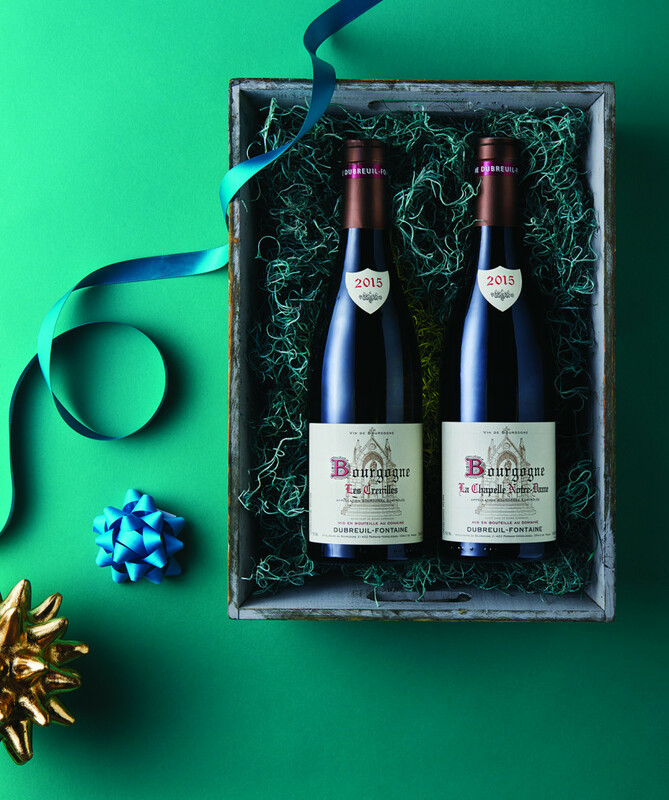 Gordon’s “Church of Burgundy” basket appeals to seasoned collectors and novitiates with a red and white from Dubreuil-Fontaine, one of Burgundy’s classical houses producing traditional wines of utter irresistibility. You can never go wrong with bubbles. 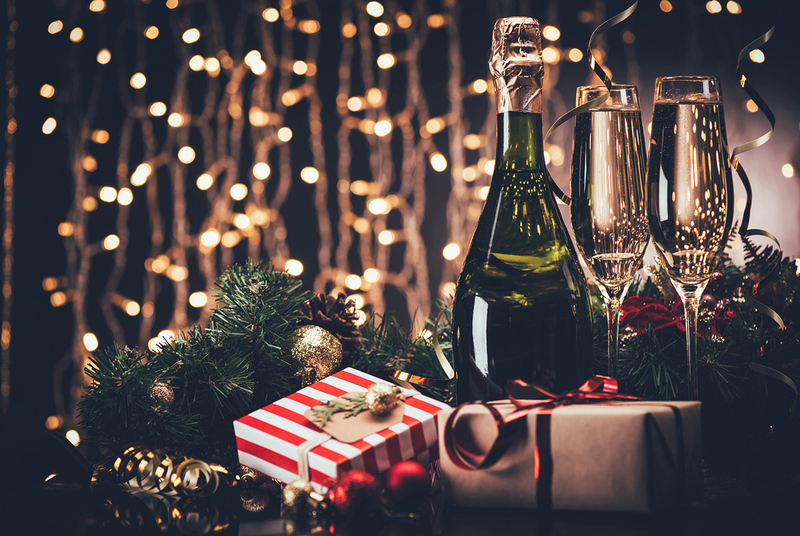 Whether you’re looking for a tête de cuvée like Krug or Dom Perignon, or a well-crafted fizz like Cava, there are plenty of perfect choices for your Secret Santa. 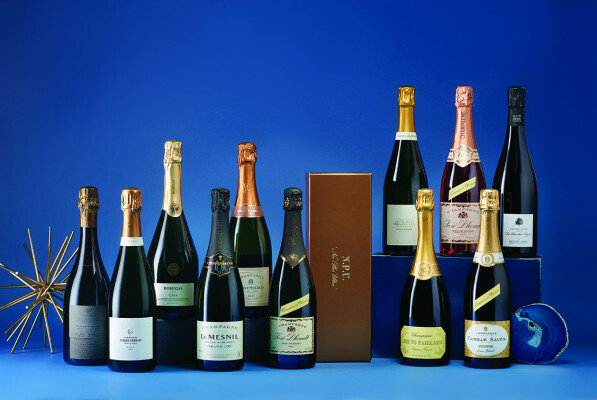 Select a number of Champagnes to create a holiday basket. 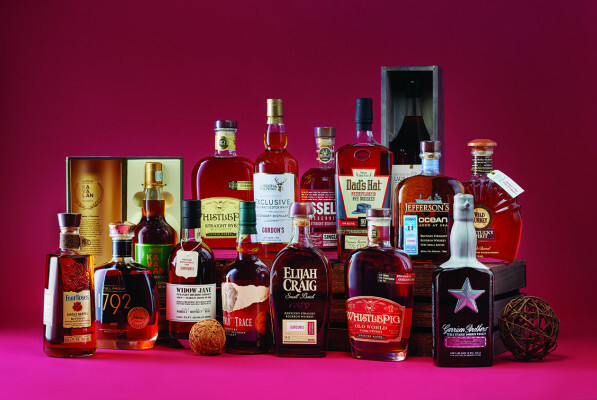 Nothing says “happy holidays” like Gordon’s carefully curated selection of single barrel whiskies. While most boast familiar names, they are all drawn from individual, hand-selected barrels and bottled to precise specifications. These remarkable whiskies are all one of a kind, so when they’re gone, they’re truly gone. For custom baskets and any special requests, e-mail the experts at gifts@gordonwine.com. For more information, visit gordonswine.com.